KIEV, Ukraine -- Western policymakers who believe the Minsk accords would work if only Ukraine made the requisite constitutional and electoral concessions are missing a key point: that they, and Russia, forced Ukraine to make security its priority by violating the 1994 Budapest Memorandum on Security Assurances. Members of Ukraine's National Guard at the opening ceremony of a sniper's training centre at the Guard's training base near Kiev, Ukraine, March 18, 2016. The author argues that only a secure Ukraine will put its name to grand bargains crafted by Russia and the West. And a secure Ukraine can only be a militarily strong Ukraine. Russia brazenly invaded Crimea and eastern Ukraine in complete violation of the memorandum. Their assurances of Ukraine’s sovereignty and territorial integrity proved hollow. Sanctions are nice, but hardly an adequate response to Russian imperialism. The violation and non-enforcement of Budapest underpins Ukraine’s approach to the Minsk accords and, indeed, to any peace deal. As constructed, Minsk institutionalizes Russia’s invasion and permanent meddling in Ukrainian affairs. It doesn’t matter whether Ukrainians do or do not make constitutional changes providing the occupied Donbass with autonomy, and it doesn’t matter whether fair and free elections are held in the region. All that matters is that Minsk guarantees that Russia’s proxies will remain in control of the occupied Donbass, and that Russia will remain in control of the Russo-Ukrainian border and will use whatever arrangement exists to infringe on Ukrainian security, stability and sovereignty. Needless to say, Ukraine cannot accept such an outcome. It’s one thing for Ukraine to live in the shadow of Russia or to be mindful of Moscow’s security concerns—as it was for the last 25 years. It’s quite another for Ukraine’s security and survival to be permanently hostage to an imperialist power that routinely invades its neighbors and has annexed Ukrainian territory. Since the failure of Budapest means that formal international security assurances are effectively meaningless, Ukraine’s first priority has to be preserving its own security. No one can or will guarantee it, and even if they did, Ukraine would be crazy to believe a second Budapest. Even if Putin were to sign a document guaranteeing Ukraine’s security with his blood, Ukraine could not accept his word. Mendacity has become business as usual for Russia’s president. But neither could Ukraine accept the West’s word. Its long-standing indifference to independent Ukraine’s security does not inspire confidence that this time the United States and the United Kingdom will really mean it. Membership in NATO won’t do the trick either, both because it’s not in the cards for Ukraine anytime soon, and because Article 5 is squishy. In short, Ukraine will be secure only if it can guarantee its own security. Since nuclear weapons are out of the question, Ukraine’s security can be assured only if Ukraine has the requisite armed forces to guarantee its own security. Ukraine must have the capacity not to defeat Russia but to deter it from further imperialist encroachments on Ukrainian territory. Once Ukraine is certain that its security is assured, all manner of negotiations and compromises become possible. Indeed, the Minsk accords become potentially workable. A strong and secure Ukraine might even countenance neutrality. The implications for the West are obvious. Only a secure Ukraine will put its name to grand bargains crafted by Russia and the West. And a secure Ukraine can only be a militarily strong Ukraine. No Western deal with Russia can possibly work if it fails to take Ukraine and its justified security concerns into account. Ukraine has already made enormous progress since the spring of 2014, when it had no more than 6,000 battle-ready troops to face Putin and his proxies. Even though the very imperfect “cease-fire” mandated by Minsk is routinely violated by Russian troops and results in daily Ukrainian deaths, it represents a tactical victory for Ukraine’s army. Despite its defeats in several key battles, Ukraine has actually won the war—at least thus far—by stopping Russia’s armed forces and Putin’s 35,000 proxies. 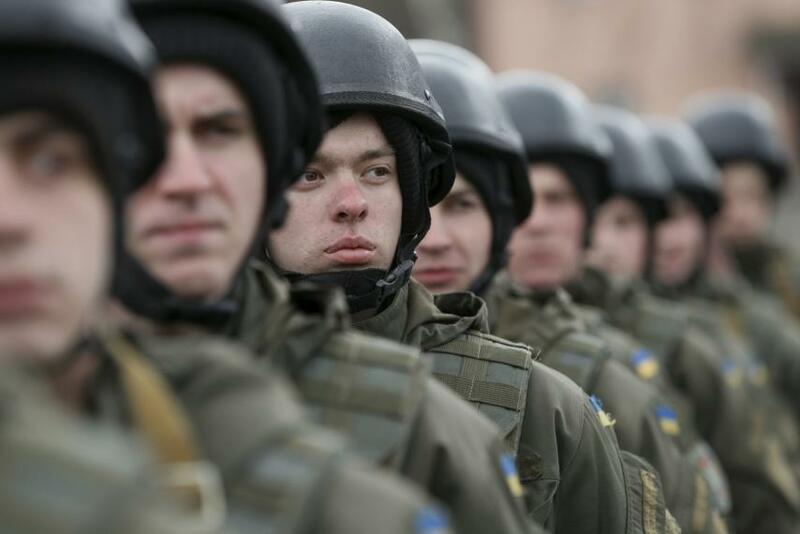 Now Ukraine needs to gain the capacity to stop a full-scale Russian invasion. Although a massive land war would produce savage Ukrainian partisan resistance and lead to enormous losses for Russia, it would be far better to deter Russia than to embroil it in a costly quagmire. And for Ukraine to deter Russia, it needs to have the clear ability to stop Russian air power and tanks. Arming Ukraine—building up its military to the point that it can defend itself, but not threaten Russia—is the only way to secure a durable peace there. The sooner the West learns this lesson, the sooner Budapest will fade as a bad memory—and the sooner Minsk or its successor will have a realistic chance of resulting in peace. Dear President Mr. Poroshenko stay strong, show to all of those who try to discredit you. It is in your power so, do not delay get Sakvarelidze, Kasko and all the team back to the game, they must finish what they started. If you do, in my humble opinion, people may ignore reports from Panama, because that report does make sense. The letter of the Memorandum itself commits the U.S. and U.K.to (a) refrain from impinging on Ukraine's territorial integrity and sovereignty; and (b) "consult with each other regarding these commitments." Bully for (a) and (b) but they are nothing more than the marbles of an ordinary "shell game" in which the con artist or snake oil salesman induces the (somewhat naive and vulnerable) "mark" to give up something of value by leading him to believe that he is getting something of value in return. Consider, for example, the likelihood of a Crimea or a Donbass invasion if the "Memorandum" had provided for US and UK military intervention in support of all the commitments. Russia was militarily prostrate in 1994 and it would not have imperiled the U.S. or the UK to have provided such assurances. Ukraine's surrender of its status as the world's third largest nuclear power and its best deterrence against aggression would certainly have justified such strong and unequivocal language. And, today, we would not be looking at the devastation wrought by a Russia encouraged to move forward as a consequence of a toothless document. Kuchma will be judged very harshly by history in agreeing to such weak terms. He, like most of Ukraine's "infant" diplomatic establishment that had only begun to open its eyes 3 years earlier after decades of complete isolation from the world, had a totally naive trust in both the US and UK....the word of these two super-powers was as good as gold and their good intentions were beyond question. The western partners fully recognized Ukraine's naivete and took advantage of it by oral assurances that the language of the memorandum would guarantee Ukraine's security. Ukraine fell for this con job. Had Kuchma held out for NATO membership, it is likely that he would have received it. But it is what it is. Those who participated in the "negotiations" acknowledge that the "spirit" of the Memorandum and the understanding that the Ukrainians had of its meaning and intent was as a guarantee of its security from Russia. The western partners, on their part, crafted a document that they knew had little enforceable value: "now you see it, now you don't". So take your pick: did the US and UK pull a con job or have they simply violated their solemn commitments? In either instance the price is being paid in blood while Bill Clinton and John Major are silent. Ukraine must never again rely on anybody's assurances for its security.